Are We Really Interested in a Sequel to Creed That Doesn’t Involve Ryan Coogler? 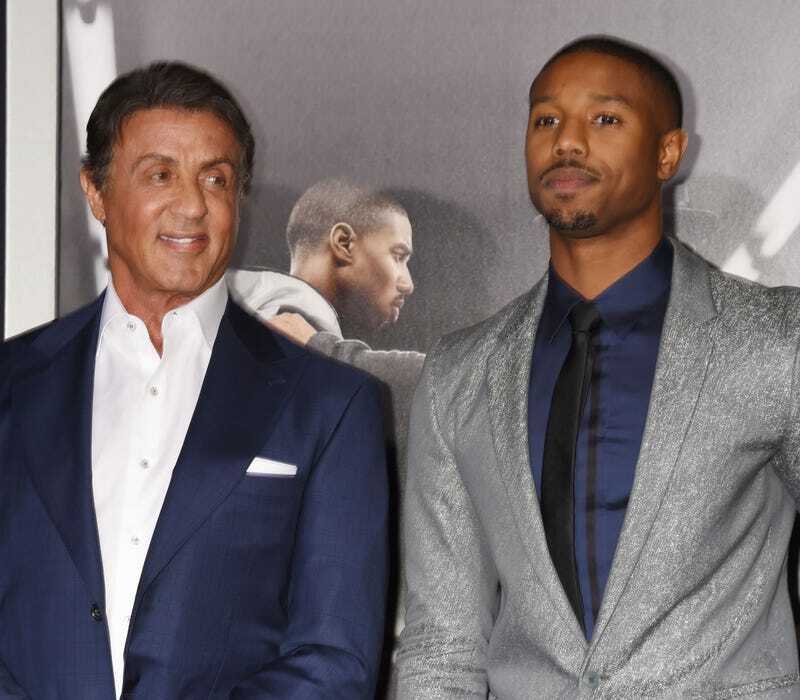 On Instagram Tuesday, Sylvester Stallone confirmed that he will be directing and producing Creed 2, the sequel to the 2015 Ryan Coogler hit Creed, in which Stallone co-starred with actor Michael B. Jordan. Are we really interested in a sequel to Creed that doesn’t involve Ryan Coogler? Coogler and Jordan created black-boy magic on the screen in Creed, and it’s not that I don’t appreciate a veteran like Stallone bringing this to the screen, but I just wonder if he will be able to pull out the kind of range and depth from Jordan and his co-star Tessa Thompson the way Coogler did. I’m also sorta still salty for the way Coogler got iced out when the awards started coming in; Stallone got all the mainstream nominations and Coogler didn’t. He was robbed. For his part, Coogler is extremely busy with a few upcoming projects. Black Panther comes out in February, and following that, he will be working on Wrong Answer—which will also star Jordan and feature a screenplay written by Ta-Nehisi Coates. Creed and Creed 2 are, of course, spin-offs of the Rocky movies that made Stallone a household name. Jordan’s character is the son of deceased boxing champ Apollo Creed, who faced off against Stallone’s Rocky Balboa in the ring over the course of several Rocky movies. Stallone created that franchise and made it what it is today, but with Creed we got a new character and a new story to care about. We also got a story centered on a black character that did not require any sort of white savior, something we don’t get often in Hollywood. I’m not saying that I won’t go to see it if Stallone directs and produces Creed 2; I’m just saying I would rather see Coogler and Jordan do their thing together once again.